Earlier this week I attended a tweetup launch of the Oman Sail's Women's Sailing Programme (sic). I was quite genuinely surprised to learn that over 6000 Omani kids in the last 3.5 years have received sailing lessons through Oman Sail, with over half of them being girls (that bit didnt surprise me so much). Oman Sail's new Womens Sailing Program is targeting a bid for the 2020 Olympics with this grassroots sailing initiative. Best of luck to them, it's good to see investment in sports and culture. Next up, it's been a busy week for local bloggers, will a welcome return of the Jet Driver and it appears that the Undercover Dragon has been busy too. The Jet Driver has been commenting on the new "Shatti hamster wheel" that is developing at The Wave, the selection process for overseas scholarships for students and more recently questionable HSE policies at QCC. All good reading. Article 26: It is prohibited to publish anything which may prejudice the safety of the state or its internal or external security or all that relates to military and security apparatuses, their bylaws and internal regulations, any documents or information or news or official secret communications, either by publication through visual, audio or print media or through the Internet or any means of the information technology unless a permission is obtained from the competent authority. It is also prohibited to publish the wordings of the agreements and treaties concluded by the government before they are published in the official gazette. Article 2: The Decree comes into force from the day following its date of publishing in the gazette. Say goodbye to the fledgling journalism we were just starting to see here then. It does make you scratch your head doesn't it? Stifling the Public voice worked so well in Egypt, Libya and other places, didn't it? 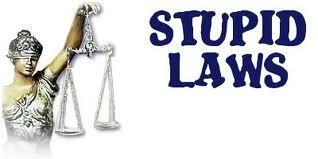 I only hope that this law is not used to hide those that are abusing the Public through corruption. Oh yes, it's Wednesday. And that means the weekend, and what a weekend it is! The Royal Opera House is having it's season opener this Friday the 14th October at 8:00pm with Opera Turnadot by Puccini. both the Friday and Saturday performances are SOLD OUT but there are odd tickets up for sale here and there - check Muscat Buy or Sell. The VIP opening of the Opera House is TONIGHT, and the roads WILL BE CLOSED for His Majesty to travel to the venue from approximately 6:30ish until sometime after then... probably 7:00... so make sure you are where you need to be before then. The Chedi have launched their special Opera packages, as well as their Friday brunch, details of which are below. 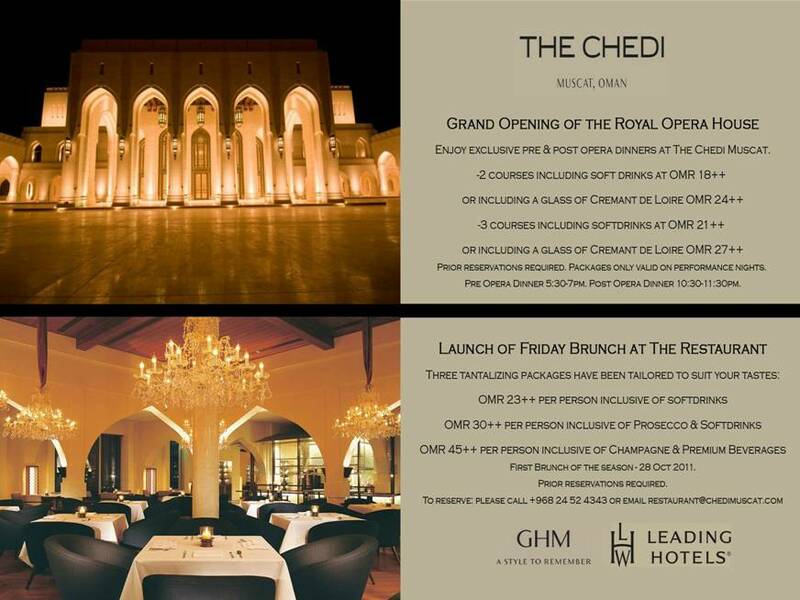 Prices start at RO 18++ for a 2 course meal, and RO 23++ for their Friday brunches. 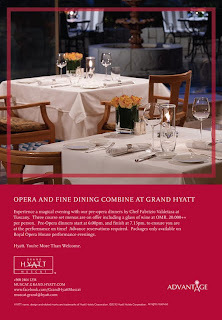 It seems that the Grand Hyatt are also getting in on the Opera act (!) and also have launched their special opera deal which is RO 20++ for a 3 course meal and a glass of wine. No word yet on what O Sole Mio & the other hotels are going to do yet, but I'll share them if I find out. Speaking of the Hyatt... dont forget it's free cosmo's for girls between 6-10 tonight (and every night) at the John Barry Bar and the Safari Bar, along with the 40% discount on selected beverages between 6-10. This Friday see MRFC in their 4th home game of the season play Doha at 3:30pm - at 2:20pm the Muscat Pirates U12 rugby players will be having an exhibition game, so please come down and support them. Speaking of the Rugby Club, many of you may know that the clubhouse was closed, and so the Hyatt have kindly granted a new home for the MRFC in the soon to be renamed Habana Bar (underneath Safari Bar). Just a little note for Oman Mobile users... the 500MB Data plan that used to be RO 12 is now upgraded to 1GB and RO 5 a month... and those that use BlackBerry on Oman Mobile will receive a 10% discount on their bill for October 2011. It seems that there is a sandstorm brewing as well... so be careful when you drive home - I'd advise leaving now. Thanks for the plug Mr Sythe! You're right, even publishing photos of riots sounds pretty illegal under the new law, doesn't it? Thanks a ton Sythe for all those updates, MCT is finally rocking! chill folks!